I’ve been meaning to write this blog post for a long time now, but the guy who hit my bike with his car kinda threw a spanner in the works (and me to the asphalt). 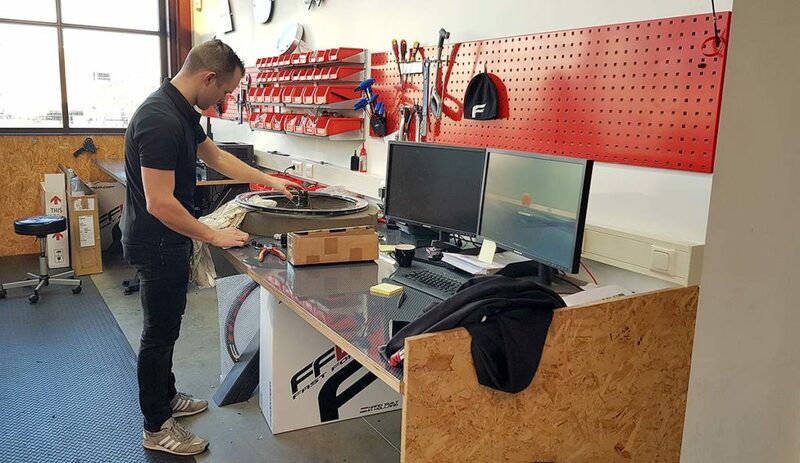 This blog post is not about the accident, but about he excellent service at FF Wheels. A few years ago, my coach advised me to buy a power meter. 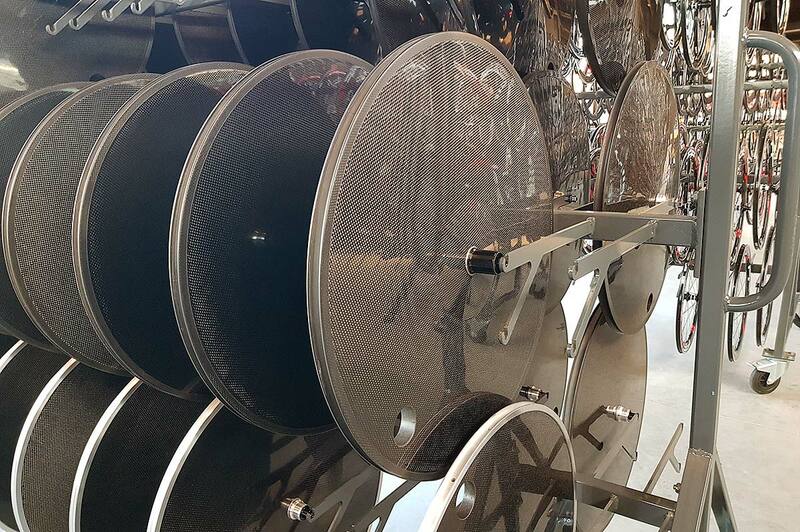 I decided I wanted a hub version, so I’d have the possibility to use the wheel on both my bikes. 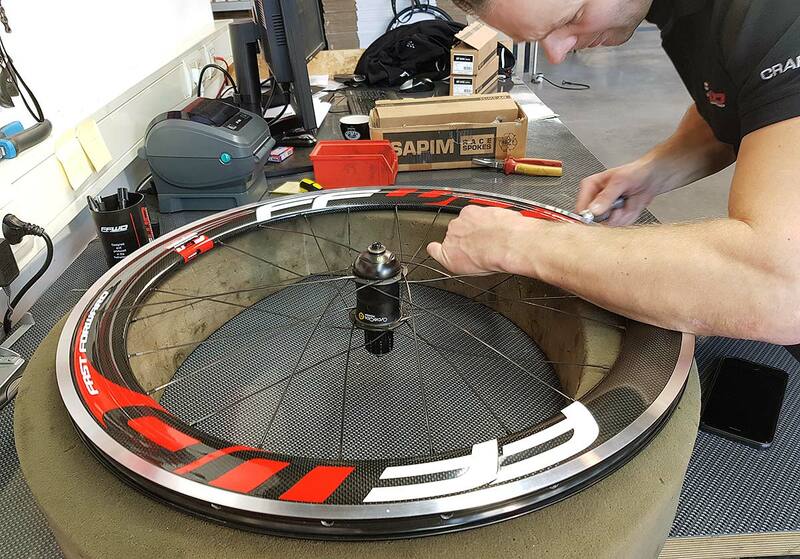 I wanted stiff wheels and after some online searching, I found a set of FF Wheels with a Powertap power meter. These FSR wheels looked amazing and had excellent reviews, so I ordered them right away. This turned out one of the best bike related purchases! 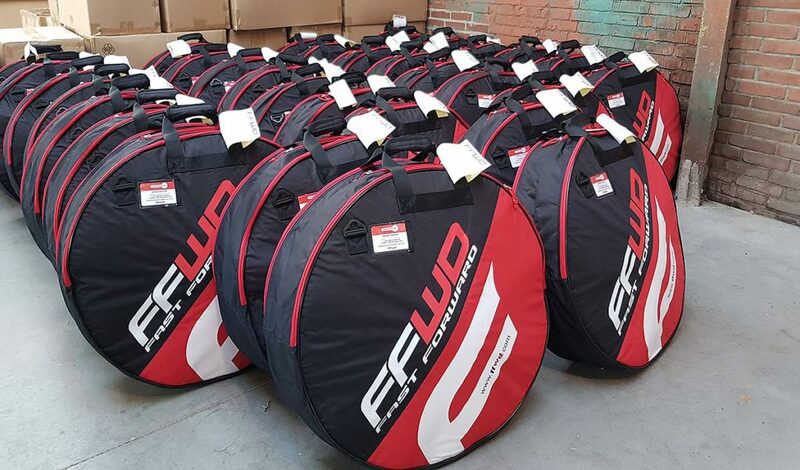 The FSR wheels are indeed stiff and fast and I’ve been using them on a daily basis in sunny Sicily. This means that I’ve ridden over 40,000 km with this wheel set. If you have a problem with one of your wheels, you can send it to FF Wheels, but because I was planning to go to The Netherlands anyway, I asked them if it was okay if I dropped by. And luckily for me, it was. On a Monday morning in January of this year, I drove to Zwolle, the capital of the province of Overijssel in the east of The Netherlands. 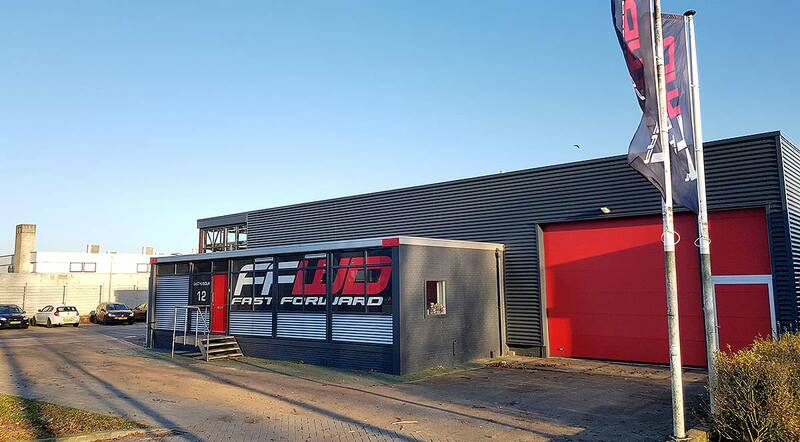 FF Wheels is located in a business park on the outskirts of the city. 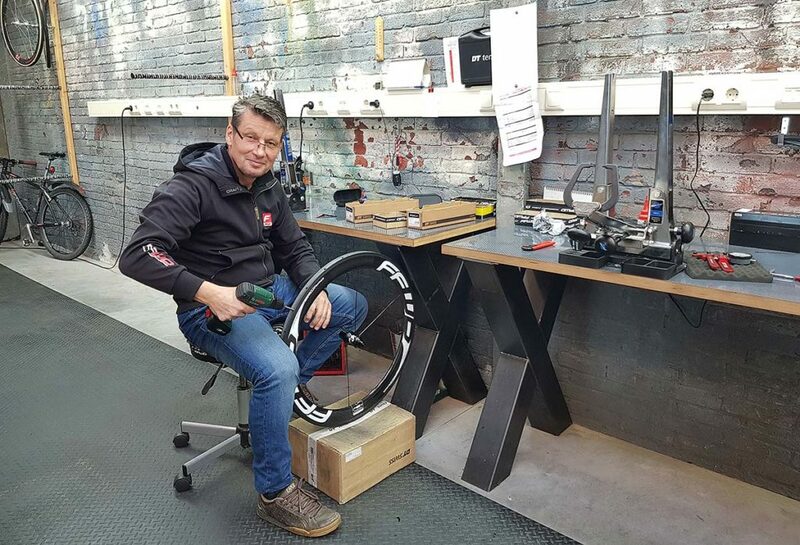 I was greeted by one of the employees and after chatting about quality (all FF wheels are hand built) and new wheel/cycling trends over a cup of coffee, Rik van Putten, the Commercial Manager at Fast Forward Wheels, took me on a tour of the factory. 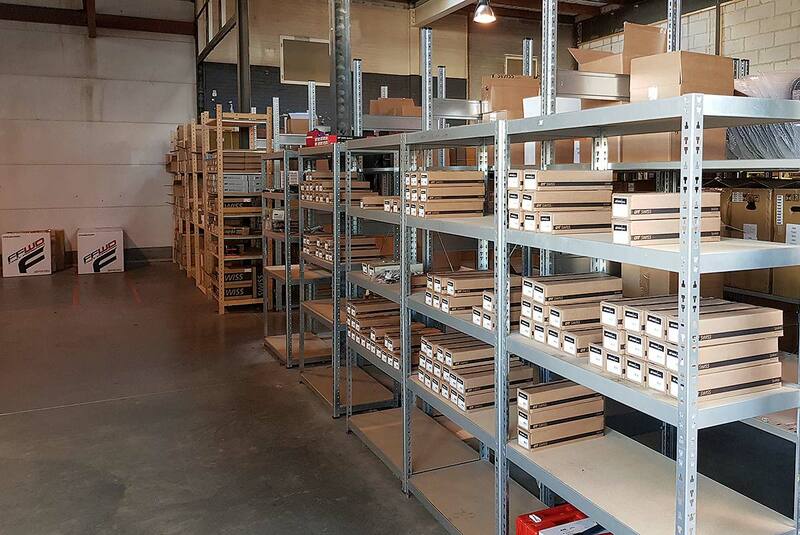 As soon as I entered the factory floor I felt like a kid in a candy store. 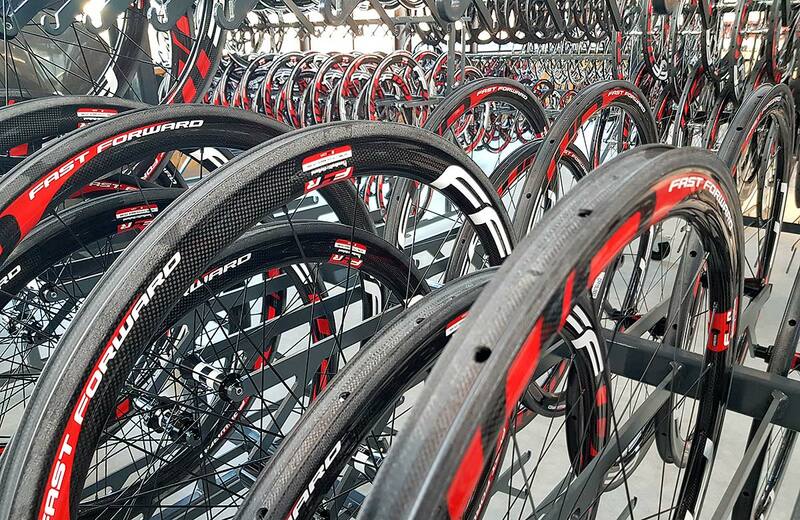 Shiny, carbon wheels everywhere! 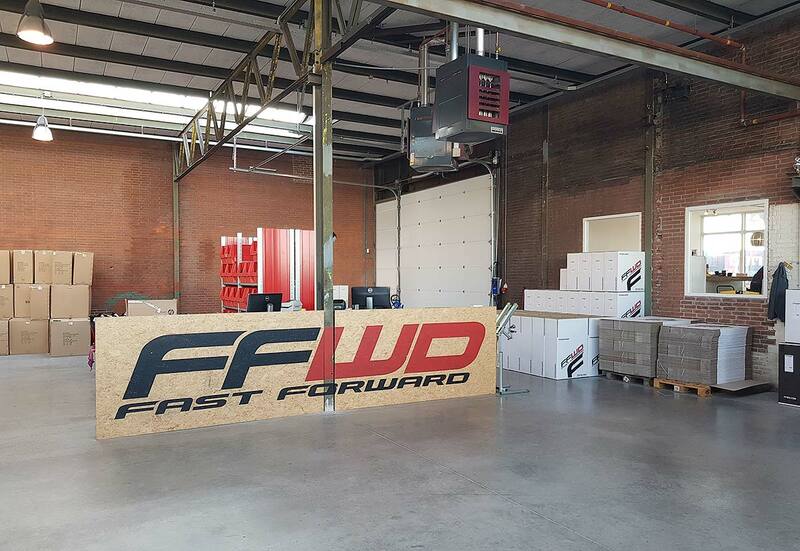 Fast Forward makes all kind of wheels, from MTB, to road bike, triathlon and track wheels. From the part of the factory floor where all finished wheels are located, we arrived at the repair department, where I gave my wheel to Oscar Torres, who started working on it while we continued our tour. 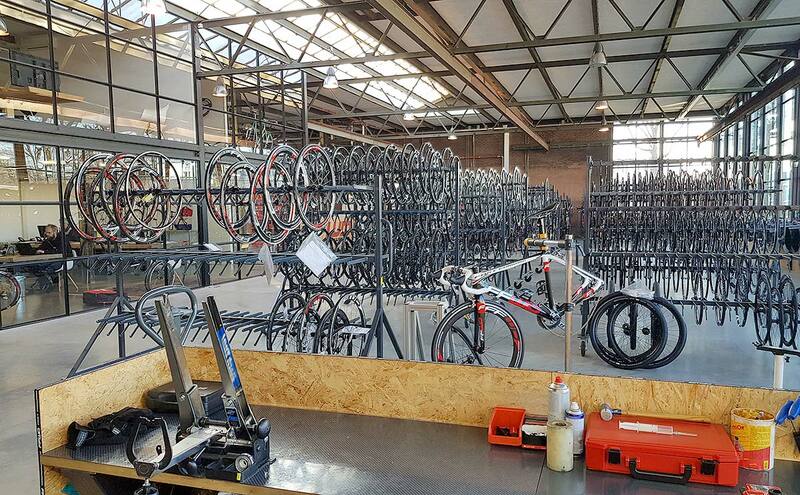 In the warehouse, FF wheels keeps all wheel parts, many of which from DT Swiss. 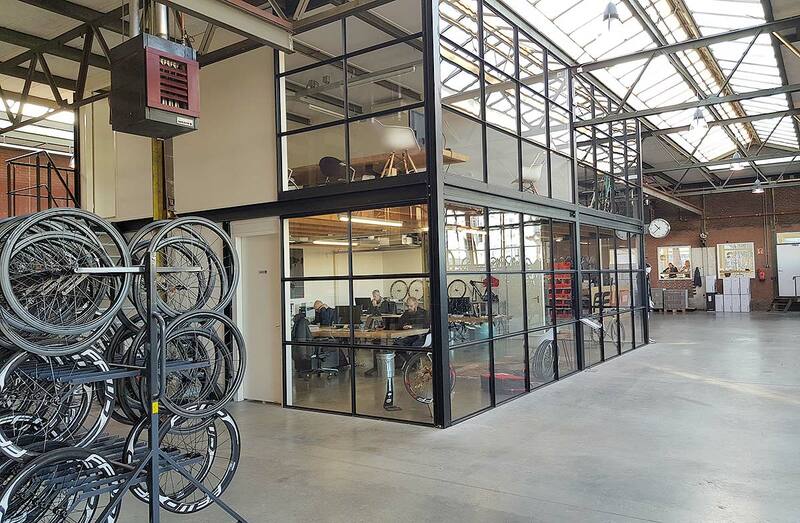 The office is in the center of the factory floor. At the end of the tour, Oscar Torres was just finishing up. 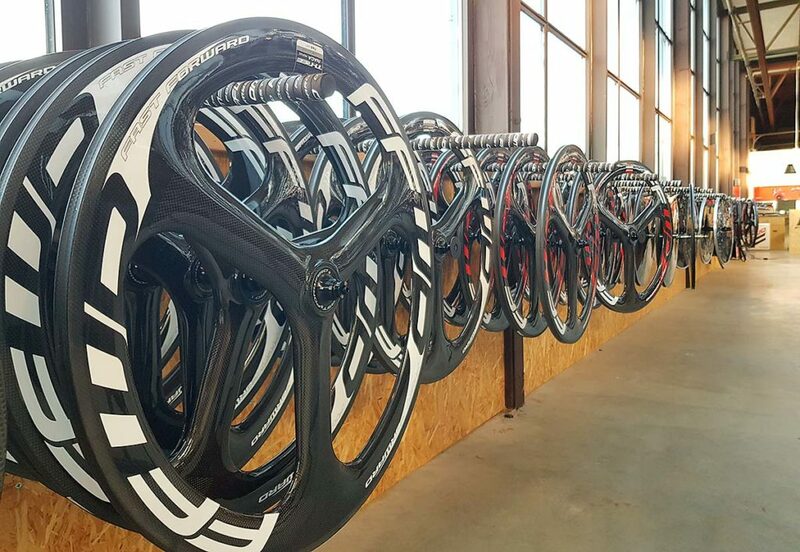 When you have money to spend on your bike, fast wheels are a real good investment. 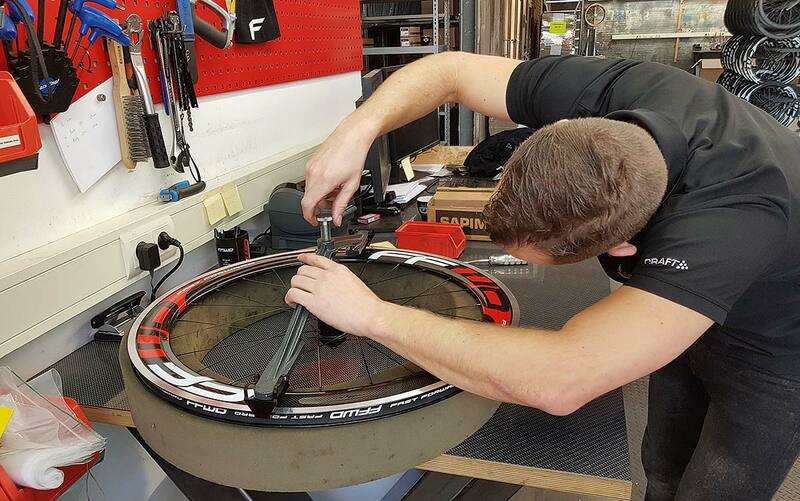 And when you buy quality like the FF wheels, it’s good to know that you can count on an excellent service! 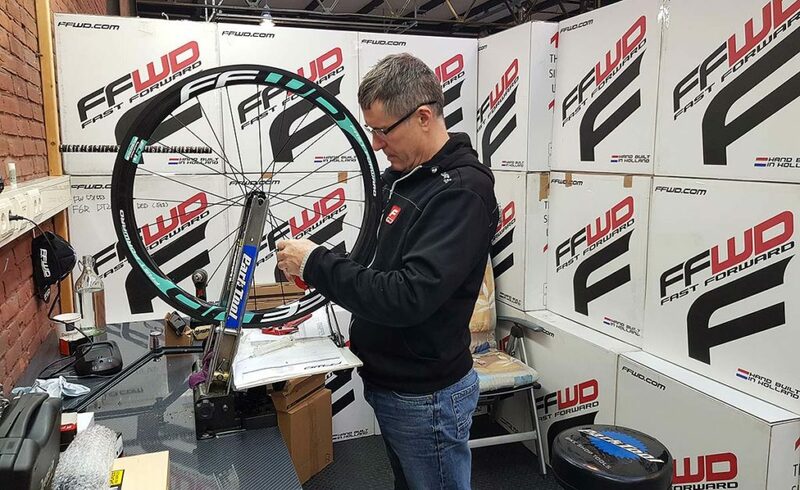 I’m looking forward to using my new wheel in Sicily and I’d like to thank Rik at Fast Forward for taking the time to give me a behind the scenes look. I am vince from Malta. I come to sicily to cycle soooo many times and i love it. I am interested to get a new set of wheels and i am mixed up between fulcrum speed c40 or the fast forward carbon f4r. What do you think? Thanks for your comment. I don’t think that there’s much difference between the two mentioned set of wheels. They weigh more or less the same and they both get good reviews. 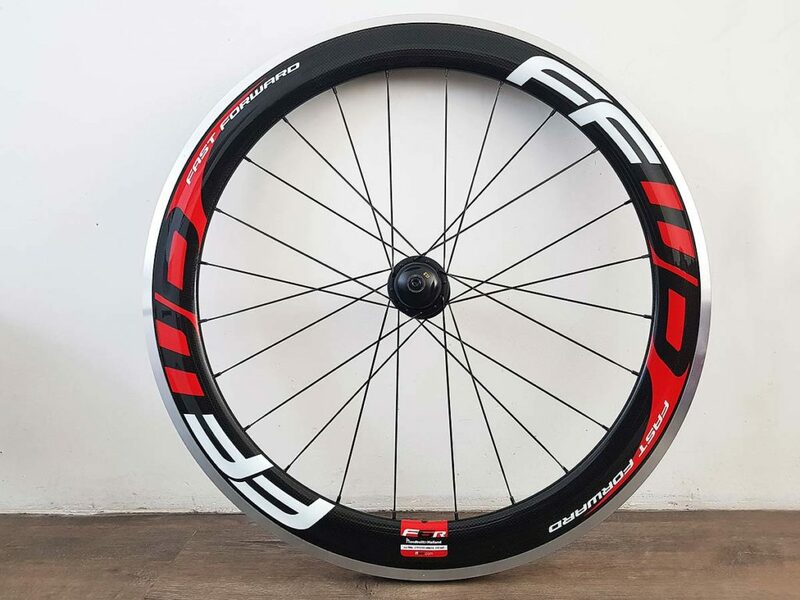 The hubs of the Fulcrum wheels are probably a bit better (ceramic), the rim height is different and there’s quite a difference in price. If there isn’t a real big difference in performance, I’d go with the (cheaper) FF.